We all love receiving gifts and most of us get a warm feeling about giving others something, especially when they don’t expect anything. Receiving a gift from somebody is special, receiving a gift from a person you hardly know, is a little more special and unexpected, and it is something that will create a solid memory with that person/s. 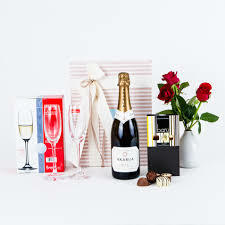 Not all matters justify giving your clients a gift and the end of the matter, but where possible I believe it is one of the cheapest forms of marketing your law firm to buy a small gift to say thank you. For example, when your conveyancing clients are moving into their first home, pop in for a visit and hand them a bottle of Champaign and two glasses, so that they can celebrate. Be careful when buying the gifts, I know the figures ramp up quickly – so my advice is not to do it for every single matter – in other words, don’t get lots of “well-priced” gifts, rather buy nicer gifts that cost slightly more, but for a few selected clients – ones you have an idea will be bringing you further business in the future, or that will spread the word effectively. To give you an example of a well thought out gift, for the people moving into their home, nothing is more appreciated on that hectic day, than a good take out meal delivered to your door – simple, not that expensive and a thoughtful gift. It is tempting to brand the gifts, to make sure the client always remembers who gave them the gift, but the proper gift, given in the correct manner and selected with a little care, will go much further and have a greater effect than having your brand slapped on the side. For example, take drinking glasses with a logo on the side – nine times out of ten, these are either given to the help or put so far at the back of the glass closet that they will never get seen. Nice glasses without branding, will be used all the time and the people using them will remember where they came from. That is all you need. If you want to insist on branding, put it on the wrapping or on the gift box. You will lose the effect if you do not deliver the gift in person, also you will lose an opportunity to get to know your clients better.